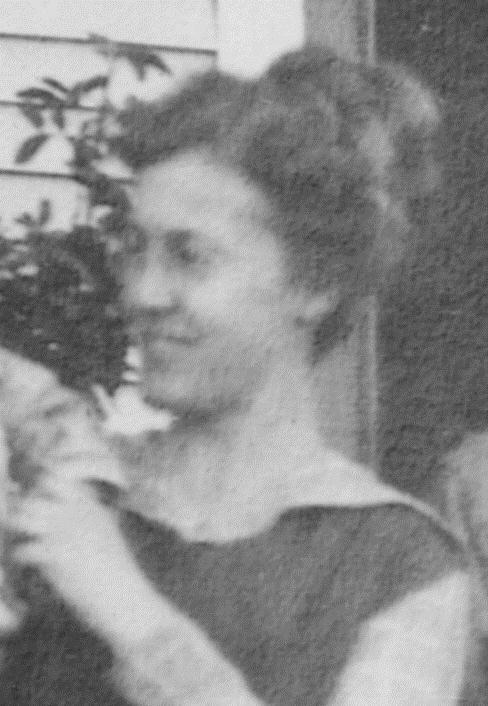 Nancy Harriet Cossitt was the first of five children born to the marriage of Harlow Hopkins Cossitt and Isabel Minerva Green. She was born on March 5, 1887 in Hot Springs, S. Dakota. Like her mother and grandmother, she chose to use her middle name of Harriet as opposed to her first given name of Nancy. In Mid December of her 4th year of life, her mother delivered a baby boy. At the time her father was in another town for business and could not get home due to the extreme winter weather. Harriet was given her first job as a nurse and was successful. Her baby brother and her mother both survived to live long lives. By December of 1901 she and her family were living in Council, (then Washington, now Adams County), Idaho. At the age of 14 she married Lewis Edward Winkler who was 20 years her senior. Her mother questioned the marriage due to the age difference, but her father saw nothing wrong with it at it was common at that time. Lewis Edward Winkler was a blacksmith and placer gold miner. Almost one year to the day after the marriage, their first child was born. In total this marriage produced three sons and one daughter by 1916. Lewis was active in the Odd Fellows and Harriet was active in the Rebekah Lodge while living in Council, ID. By 1917 the marriage was in trouble and Adams County being so small, a judge from another County was brought in to adjudicate the divorce. Custody of the two oldest boys was given to the father and Harriet got custody of the daughter and youngest boy who was about 2 years old. Both parents continued to live in Council but things were not amicable. After a short time, Harriet left her parents home and children and moved to Salt Lake City, UT to start nursing training at St. Mary's Hospital. After graduating as an RN, she moved back home to take care of her mother who had stomach cancer. After her mother died, she accompanied a patient on the train to California. Once she finished her job with this patient, she went up to Hanford, Kings County, California to visit with her sister who was living there. Her intent was to return to Idaho, but a Doctor in Hanford offered her a job as his surgery nurse that she just couldn't turn down. She sent money to her 16 year old daughter with instruction for her and her 6 year old brother to get on the train and bring all of their belongings to Hanford. There was a second marriage to a Joe Stiles and affiliation with The Eastern Star Organization. This marriage also ended in divorce. During the 1930's or 1940's Harriet took additional training to become a Public Health Nurse. She obtained employment with the Kings County Welfare Department and rose to the position of assistant director. Her management style was very stern and she was not afraid to tell a mother (or father) what they should do to raise and discipline their child. While her title was that of second in command, for many years she was actually the acting director of the Kings County Welfare Department as Kings County was unable to find a man to fill the position of Director. Harriet retired in March of 1957. On September 26, 1957 she laid down on her living room couch to take a nap and never awoke. Later that afternoon, two boys broke into her home, probably to commit a robbery. One must wonder what went through those boys head when they came across Harriet deceased on her living room couch.